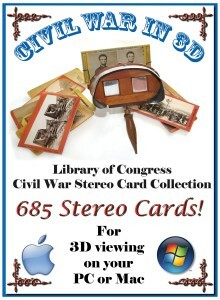 One of the most popular forms of photography during the Civil War was stereo photography (or what we would call 3D). This involved the use of cameras with two lenses to capture what the left and right eye would see. When viewed through a stereo viewer these images come to life. Starting in 1861 the Library of Congress began collecting stereo cards. The condition ranges from near perfect to very distressed; with most of them in excellent viewing condition. 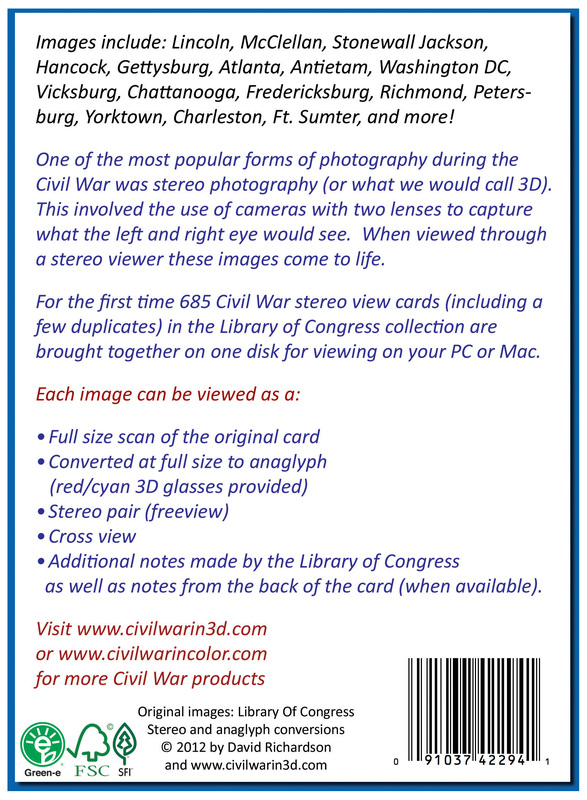 For the first time 685 Civil War stereo view cards (including a few duplicates) in the collection are brought together on one disk for viewing on your PC or Mac. 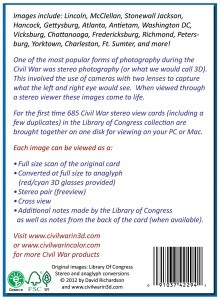 •Additional notes made by the Library of Congress as well as notes from the back of the card (when available).